Cricket Wireless is selling the Lumia 650 for $120. That's a fair price for this handset. 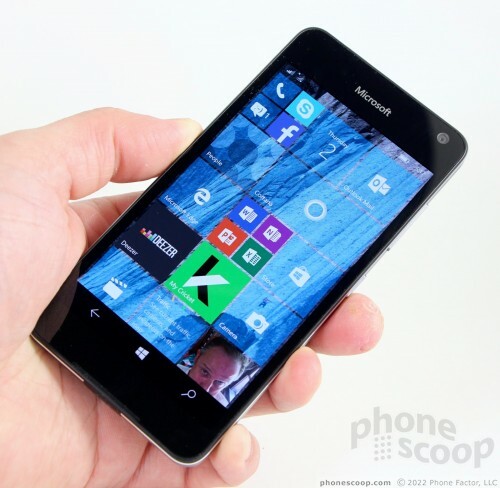 The phone is a step up from the Lumia 550 in terms of design and specs, and it delivers a bit more oomph. Even so, the 650 looks better than it feels and is far from perfect. The metal frame is nice, but I wish Microsoft hadn't chopped it up to accommodate plastic ports. The rear panel looks high-class with the matte finish, but the rounded shape leads to some weird looseness against the battery. The screen is decent, but voice performance is so-so and the battery is just barely acceptable. Microsoft's mobile operating system functions well enough, but the Lumia 650's processor struggled from time to time. The camera app is bare bones and takes pictures that border on "meh." Given Microsoft's recent moves to deemphasize its phone hardware, I'd only recommend the Lumia 650 to die-hard Windows fans who also happen to be on a budget. If you just need a smartphone with Cricket for less than $150, there are plenty of other, better options, such as the Alcatel Idol 3, iPhone 5s, Stylo 2, and Galaxy Grand Prime.